As we celebrate our 15th anniversary, the strong bond we share with our community and families continues to be the cornerstone of our practice. We take a down-to-earth and common sense approach to your complex legal issues. Widerman Malek, PL is a national law firm with a family and community-centered approach. Our strong bond with our community, our families, is the cornerstone of our practice. Widerman Malek, PL takes a down-to-earth and common sense approach to your complex legal issues. We understand that it can be stressful when legal issues hit home, and we will empower you to take full advantage of your legal rights. Widerman Malek, PL provides our clients with the most effective legal representation by using our experience, knowledge and technical sophistication while maintaining the highest standards of professionalism and community responsibility. 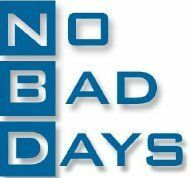 The No Bad Days Foundation supports special needs children in Brevard County through the purchase of life improving medical devices and other necessities. If You Would Like To Donate To The No Bad Days Foundation.